Can you get a pic of inside the trunnion (where the bolt locks up) and the face of the trunnion (looking straight at it towards the bore)? That bolts hitting something on the way in. Does the aft facing portion of the ejector block look like its getting struck? Hows the the channel inside the carrier looking (section that makes the bolt rotate)? Have you had issues with the bolt going into battery? If you hand cycle it can you feel the bolt hanging up hard on the way in? It looks to be raised up a bit which could prevent the rim from getting down under the extractor. 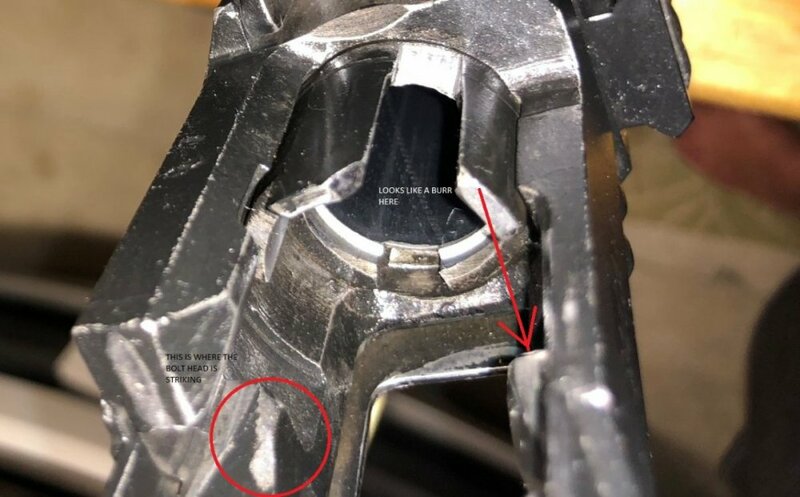 My guess is that you have literally worn out the bolt shaft where it goes down into the body, allowing the bolt head to wobble around so bad it's hitting the edge of the barrel. That fitment is rather poor even when the bolts are brand new. Note: I sent these pics to a buddy that has only fired 50 rounds thru his S12. He has the same issue starting to show. My gun has 2400 rounds. Tonys response makes sense to me. Mike Rogers or evl might have suggestions also. I would be very cautious with the new bolt youre getting and would only hand cycle with the new bolt until youre sure the issue is resolved. You can use lay out fluid or a sharpie to mark the bolt and after hand cycling check to see if youre getting abnormal wear. Personally I would look at Tony's suggestion but I would also look at how the bolt interacts with the carrier. I would really hate to see you trash a bolt because there was more to the problem than just the stem being worn. 2400 rounds is significant but I wouldnt say its an extreme round count. Either way I wouldnt use the new bolt as a replacement until the original has completely failed or looks to be unsafe. 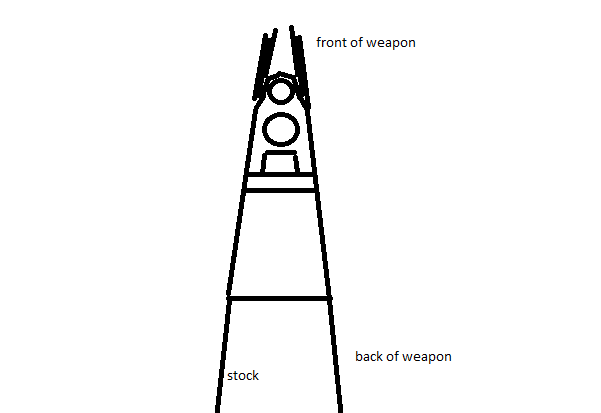 Maybe even a one piece carrier/op rod combo made with upgraded steel and a bolt with the same steel. Im sure theres room for improvement. Tony has done alot of conversions and sbs's, people who have tax stamped tromix S-12's Im sure would hate to see their investment turn into a paper weight due to lack of replacement parts. Make the parts and they will sell, especially critical parts. You would have a monoply on the market, you wouldnt even have to compete with factory parts (as long as the sanctions are in place). I would be all over this if I had the skill and equipment. If I remember correctly R&R stated that their aftermarket bolts and carriers didnt sell as fast as they wanted..but you have to keep in mind that at that time they also had factory carriers and possibly bolts for sale. Im almost 100% that those sold out first and understandably so, they also did very little (basically zero) marketing and even members here were unaware that the parts were availible! It doesnt take a rocket surgeon to figure out its gonna take time to sell parts nobody knows are availible. They then stated that they wanted to focus on their own design semi shotgun. I got to tell you..Ive yet to see one. I have the feeling that just like fostech origin, they may have priced themself out of contention; not to mention im not convinced the design is any more functional and certainly not as durable as a steel S-12/V-12. Theres ALOT of S-12/V-12/clones out there and all of them need magazines and spare/replacement parts. You would be fighting a uphill battle trying to play catch up competing with the sheer number of S-12/V-12/clones on the street and for sale right now. If "the S-12/V-12/clone market is dead", then the R&R targets and fostech origin should be considered fossilized lol. Tony had people damn near begging like junkies to get on the list for conversion/sbs work, so whats changed?? Its certainly not that theres a better design competing for business..its strictly availibility. 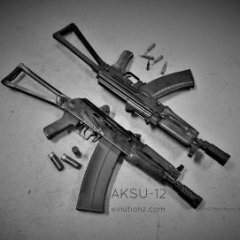 Make it and it will sell, the Kalashnikov based shotguns are proven and are THE STANDARD in box mag fed shotgun designs. Tony did not reference anything to do with safety. He did refer me to R&R. I don’t believe I mentioned I had an inbound Russian complete bolt. What are your thoughts on continuing to use it? Are the Molot bolt heads plug n play? I do know where I can purchase on but it’s not complete. I find it interesting that my friends S12 is showing the beginning of the same damage. He only has 50 rounds fired! I dont think the deformation your seeing is a safety concern. I meant that even if you were able to source a new bolt, I would continue to run the original bolt until it was completetly worn, snapped or developed a condition that would be considered unsafe. Theres no point in putting wear on a new bolt if the original continues to function properly. And there definitely no point in running the new bolt until you figure out what is causing the deformation of the original bolt. You mentioned the complete bolt in your other thread, along with a recoil assembly. If I had to take a guess I would say that a Molot V-12 bolt is most likely of a identical design and should be a direct replacement. But I can not confirm that with 100% certainty. Im wondering what its striking to peen the bolt like that. What ever its hitting should show signs of wear/deformation there as well. Try hand cycling it slowly with the top cover off and good lighting and see if you can get a visual of what its hitting and when. Thanks. I wasn't planning on installing the new bolt. I actually stumbled on the new spare parts before I noticed the peening. I will take some pics and post. I wondering if I should Dremel that area? I wouldnt suggest using a dremel. If I was doing it I would use a file by hand and only as much as necessary to clean up the peened/displaced metal. You dont want to remove ANY of the base metal. V12 bolt will swap right in. Take a picture from the rear of the receiver, centered, so I can get a good look at both rails at one time. I think your receiver may be bent, more than usual, to the right at the rear just behind the trunnion. Has the weapon been ran with springs other than factory springs or ran on wide open gas setting with strong loads? While trying to break a carrier repair I bent my own receiver a while back with Remington Express 3" 00 buck on the wide open setting. It took quite a bit of rounds to do it over multiple testing sessions, but I had all of the factory springs in place and it was done with a chopped carrier (lighter) in the weapon. The carrier repair never broke, but I did have to take the weapon down and straighten the receiver. It wasn't very difficult, but I could see it going wrong if one is not skilled. I have used the Tac-47 plug on the last 1800 rounds. By far the majority being Federal low brass. Factory OEM springs only. She loves Remington Sluggers. I just stopped by my buddies house to take a look at his S-12, his has a mark in the same spot on the bolt head thats much less pronounced (round count around 200-250 rnds). When I took the top cover and recoil spring out and slowly hand cycled the action, I observed that that part of the bolt head is inline with the upper left (looking towards bore)tang (for lack of a better word) of the trunnion. It didnt appear to make any significant contact while slowly cycling. But if I put slight lateral pressure on the bolt (from the side) it would contact the trunnions tang on the way in. I believe this is where the peening/deformation is occuring. Why its happening? Im not sure. Theres obviously a misalignment but is it because of loose/sloppy/worn fit ,A slightly out of spec bolt head (clearencing itself), or possibly a bent reciever as evl suggested? My buddies S-12 did have a little play in the bolt stem to carrier channel fit but not much, his has a very low (200-250rnds) round count of mostly federal bulk pack birdshot through it. Unconverted,Everything is factory. Your bolt will hang up at the very end of its travel, just before its completely in battery. That is normal. The bolt will hang up when hand cycling slowly because the bolt needs to overcome extractor spring pressure to interface fully with the extractor slot/channel. When you pull it back and let it slingshot or during firing recoil spring pressure along with momentum will easily overcome the extractor spring and go fully into battery without issue. The bolt shouldnt hang up anywhere else if everything is functioning normally. Take a picture from the rear of the receiver, centered, so I can get a good look at both rails at one time. I think your receiver may be bent, more than usual, to the right at the rear just behind the trunnion. Has the weapon been ran with springs other than factory springs or ran on wide open gas setting with strong loads? While trying to break a carrier repair I bent my own receiver a whole back with Remington Express 3" 00 buck on the wide open setting. It took quite a bit of rounds to do it over multiple testing sessions, but I had all of the factory springs in place and it was done with a chopped carrier (lighter) in the weapon. The carrier repair never broke, but I did have to take the weapon down and straighten the receiver. It wasn't very difficult, but I could see it going wrong if one is not skilled. Youre killing me with this talk of carrier repair that can take extreme abuse!! Lol. When are you going to offer this service as a repair/or preventitive measure?? If you decide to never offer it as a service, please share a description of the procedure as Im sure alot of people would be very interested. So continue to fire it this way vs filing the peening? 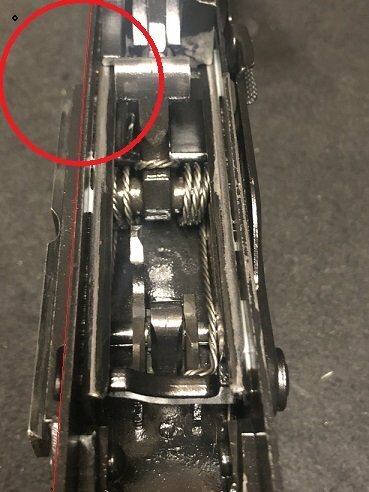 If filing are we beginning at the edge at top of the bolt face and file down the side? If its not causing any problems you could probably just leave the peened/displaced material. If you currently have or start to have issues with the shells rim not being properly held by the extractor (as described by Tony), then you would need to lightly file the peened/displaced material flush with the face of the bolt. You can test this with the bolt out of the gun and a fired shell. Besides that if its not causing a function issue, its really would come down to how much it bothers you looking at it. If you do decide to file away the peened/displaced material, you want to take it slow..ONLY remove the peened/displaced material flush with the face of the bolt and stop before affecting the base metal (the reason why I wouldnt suggest using a dremel). It really will not take many strokes or much pressure to remove that amout of material (very light stroke with basically no pressure applied, let the file do the work). As far as the side of the bolt head the same basically applies, but since that surface is intended to be rounded you want to make sure you dont file so much as to create a flat spot. In other words you want to keep the same profile/geometry as how it came from the factory. Do not roll over the edge (bolt face to side wall of bolt) do one edge at a time, seperately. Id like to see what evl thinks about the reciever when hes sees the pics. I don’t mind what it looks like as long as it functions and is not causing additional damage to other parts. I’ve started getting stovepipes not only with Federal Bulk but also on Remington Sluggers ( never have issues with them ). Long story short: after much testing it seems that my forward recoil spring is bad. Last test was with the Gunfixr plug set on 3 and a Carolina Supply Low Recoil Spring. The Fed bulk ran 100%! I’m thinking the peening is not the problem. Thoughts? The carrier repair will outlast the rest of the weapon. Go ahead and fubar it and it can still be repaired. I am sure I'll eventually offer it as an option for customers. ETA: I actually did offer the 'pocalypse proof carrier for SBS customers early on, but no one wanted it. Forgot about that. If the receiver is bent enough, the bolt will strike that angled portion of the trunnion more than it should on the forward motion of the cycle. I have never seen metal displacement on that part of he bolt head before. I have seen it, but never like that, not even after 10k rounds. Something is wrong. The weapon could run fine like that and last longer than the user does, but I would figure out what is going on and address it. It certainly isn't an ideal condition. I suppose I was looking for a view more like this, showing more of the weapon oriented front toward the top of the scree and rear toward the bottom of the screen. Pardon my very quick and dirty rendering, lol. The peening/deformation is note worthy but not extreme at this point. Whatever is causing it too deform may be the cause of your stove pipe issues also. The recoil spring could be a contributing factor in the stove pipes also. Are the gas block, plug, gas puc and actual ports clean and allowing the proper amount of gas to the action? I clean the gas block, puc and ports after every outing. If the peening is the cause of the stovepipes ( which seems logical ) then why would the last 35 rounds of cheap Fed bulk run 100% only after changing the forward recoil spring? The other change was switching from the Tac-47 and OEM plugs, both of which had stovepipes with the OEM recoil springs. Only when I installed the Gunfixr plug ( I have 4 plugs that I accumulated over the years ) and the recoil spring did she run right. Note: I sent all the photo's to Tony (Tromix) and asked him if I should send him the S17 due to a bent receiver, etc. He said that everything looked fine but to send him the bolt and he was going to work on it. I sent it out today along with the carrier. BTW: I contacted Tac47 and had a nice conversation with Keith. He did not understand the failures I was having now with my auto plug. He then said to send it back to him and he is going to replace it with a new Gen 2.0. Great service! What you need to look for is any corresponding deformation on the barrel extensions, areas surrounding lug channels, around the outer edges of the chamber, and on the forward leading edge of the hammer. Pay particular attention to the "shoulder" on the right hand inner portion of the front trunnion just ahead of the forward most edge of the RH carrier rail. For what its worth, it looks like the slightly deformed edge is rolled back from continuous contact over a long period of time. As Tony pointed out, poor factory fitment is most likely the cause. At this point, I doubt the wear on the bolt has anything to do with the cycling issues you're experiencing. Thanks Mike! It's sounding more and more that the froward recoil spring is the culprit. Damn bro, you've got the triple threat dream team on the case lol! Youre in good hands. Look down the weapon from the rear with the receiver cover off and the carrier out. Is there a bend in the receiver roughly at the center of the magwell with the front half of the weapon pointing to the right? If that catches your eye quickly, look down each top edge of the receiver and see if it looks like the left side is bent more than the right. They are all bent to some degree, but some are worse than others, especially after some rounds get on them. More bend in the left side of the receiver will certainly cause the bolt to regularly strike the ramp on the side of the trunnion. The good news is that it is not the end of the work and can be fixed for fairly cheap. What'r the chatter marks in the chamber, directly under the inserted words? Looks like a tool got away from the operator. Also, it looks like a burr directly next to the second R in "BURR". A better view would show it more and illustrate how badly, but the receiver is bent starting at the front of the ejector block. If you can get a pic a little further away from the weapon, from directly overhead and centered over the left side of the receiver it would be great. Again, they are all bent to some degree, but the extent of it is what is leading to the bolt head issue. That extreme misalignment could be robbing energy from the ejection stroke and leading to the FTEs. The weapon will tell you what is wrong with it if you know where to look. There is always a symptom somewhere. The one spot that I did notice was the small red circle. Are you suggesting to take a small file and slowly knock off the burrs? I can probably handle that.